Just this afternoon, I was playing “rummy” with my almost 9-year-old son. I was dealing and we were 1-2. He was winning, and on the fourth hand, he was dealt a bad hand. Always keen to win, he got upset and started whining. Then a wisdom of life struck me hard. With that, we started talking about different things which he could do, to play the hand. And below are 5 ways he considered to try and practise. 1. Recognition of the hand that he has been dealt. Recognition comes from understanding the situation “as it is”. Seeing through the patterns which could possibly be made. Understanding the cards, which are not making any sense and standing out like a sore thumb. Yet, one needs to hold on to them and wait for their turn to discard, but not write them off completely. The goal of the game is to fit in as many cards as possible and make logical sequences to win. All cards may not be equally valuable, but there is always a possibility to make use of them. It is similar in life. We meet different people, dealt different situations and circumstances. All may not make sense to our patterns of life. The first step is to be alert and understand the situation as it presents itself. There are people who present themselves out of the blue who might not fit into our lives. This happens everywhere around us. We really do not have a choice of what pack of cards we are dealt. But we always have the option to choose who ultimately stays in our lives. 2. Acceptance of the situation is crucial as a next step to maintain sanity and chalk out what should be the next move. We are humans. All of us desire to win in life – and in games. That makes us happy and joyful. However, that desire should not blind us to accept the game we need to deal with, at present. As in the game of cards, a good player is not always the one who wins. But the one, who has learnt to accept the hands that he’s been dealt and works his way through with careful planning. Without this attitude, his mind will be distracted with the “unfairness” of the bad hand. That attitude will reduce the chances of his winning the hand. Acceptance should come naturally in life, as a breath of human life. Acceptance does not mean that you admit all the wrongs in life or helplessness. It is actually just the opposite of that. Acceptance is the ability to understand the nature of people and circumstances, without judging them. It is like in the game of cards. These are cards which are not very helpful and we need to discern what to throw and what to keep. Practising acceptance keeps the head clear and clean and helps us to do the third step, which is Focus. 3. Focusing on one’s own hand is the third element which differentiates the good players from the bad. If you’ve been playing cards with young or old, you’d have noticed, that often when a bad hand is dealt, the player immediately asks, “how’s your hand?” It comes naturally to human beings to assess the messiness of their situation relative to the others in the game. It is almost as though, if you’ve been also dealt a bad hand, then I am fine. It gives a back-handed hope and courage to the mind, and a notion of “fairness” so to speak. A level-playing ground for both the players. And if the other player says, “I’ve got a good hand”, then the hearts sink – it is as though all our chances to win the hand have become zero. Mind you, in the actual game of cards, it can happen that a person who gets a better hand wins. But one should not give up the opportunity to make his hand better, just because the other person has been dealt a better deal. I taught my son a lesson today. And while teaching, I learnt it as well. It is good to know what hand your opponent has been dealt with – but it is unnecessary. I say so because that piece of knowledge makes no difference to your playing your game. 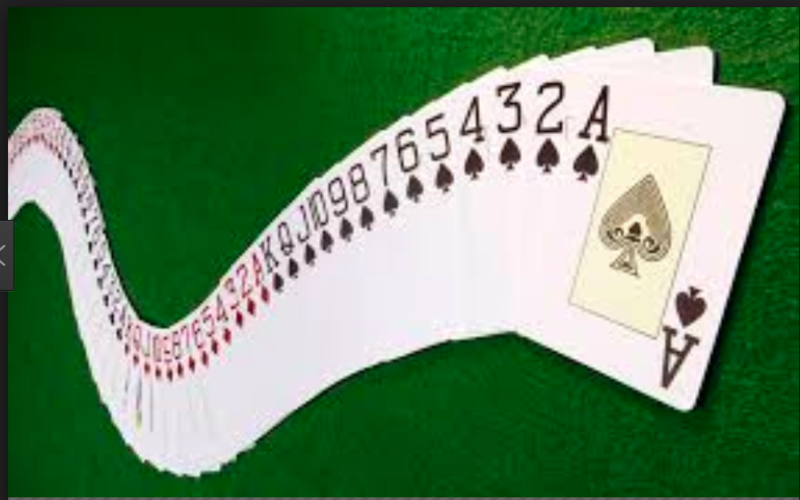 In order to play well, one needs to focus on one’s own hands and be attentive to the cards that the other player is picking so as to understand the potential sequence of the cards in the opponent’s hand. The key to win is to focus on the game and on oneself. Try to improve your own chances of winning by using your own strength and strategy. There are so many times in life, we are distracted and overwhelmed by other people’s lives and their abundance. The constant nature of “comparison” is a hindrance to accomplishing what we are here to do. Every individual has been dealt a different hand. And even if all cards look similar, the way we use them as our strength is directly proportional to our self-awareness and hard work. If we continuously distract ourselves with comparisons, we will lose precious moments of our lives to appreciate what we have here and now. We will lose the opportunity to enjoy this game of life. 4. Resilience is another key to success in life. The game is never over till it is over – never give up. Life presents itself with good and bad circumstances. Sometimes, we feel everything is working in our favour and sometimes the other way. That in itself does not diminish or amplify our capabilities. Our capability to continue to look within and outside for resources and apply our knowledge and wisdom in the situation define the nature of the game. If we resign early to fate, then we lose the game even before losing it in reality. Our minds play tricks. When our confidence soars with a good hand, it is as much of an illusion as when it sinks with a bad deal. One needs to keep moving and keep looking for resources to enrich our minds and lives. In life, one should only give up doing things, which are deliberately straining them off their strengths and making them unhealthy, mentally and physically. Keep digging deep into things, which makes your heart and mind grow. Keep a winner’s attitude and keep playing. Nothing has the power to reduce you unless “You” choose to give them the power. It is our efforts with a good heart which matter the most. And that brought me to the final realisation – of acceptance again. 5. Acceptance of the result. Amid all the discussions and a few more rounds of attentive playing, finally, I won the series of rummy. Usually, when my son loses a series, he would typically ask for a replay or get upset. But this time, I was surprised. He said, “well played, Mum” with a smile. Here in, he taught me a lesson. To accept the results and move on. There is always the next game – maybe not the same, but one played at a different time. In all fairness, it could be also because he has had enough of me and wanted to move on with something else. The reason for his response is not as important as his response itself. He had moved on and chose to congratulate the winner. We might not enjoy the journey of bad deals in life, one after another. But it is the quality of our response to the challenging circumstances which ultimately defines us and our experiences. The choice is always with us. The result is important. But what is more important is the way we have dealt with the pack of the cards, we have been dealt. Life is a game. Play it well. I am an experienced Human Resources Leader with deep and broad expertise in Rewards, Organization Development, Talent Management, HR Consulting and People Analytics. I believe in problem-solving and critical thinking when it comes to approaching people issues in the business environment. This disciplined approach has helped me to innovate and design people solutions in organizations like Nielsen, Citi, GE and Mercer, over the past 18 years. I strive to be a better human being and then a trusted professional. I believe we all are born with the divine kindness in our souls - and somewhere along the busyness of life and social distractions, we are far moved from our souls. I see a corporate world, where human beings will think with evidence and act with a heart. THINK - ask is it True? is it Helpful? is it Inspiring? is it Needed? is it Kind? And see the world changing within and around you.